Total weight gain? I have no idea. I don't feel like I've really gained much. Maternity clothes? Constantly wearing maternity leggings. SO comfy. Sleep? Not really waking up to pee throughout the night unless I drink too much before bed. I feel so lucky!! I remember waking up at least once every night when I was pregnant with Ramsey. Best moment? 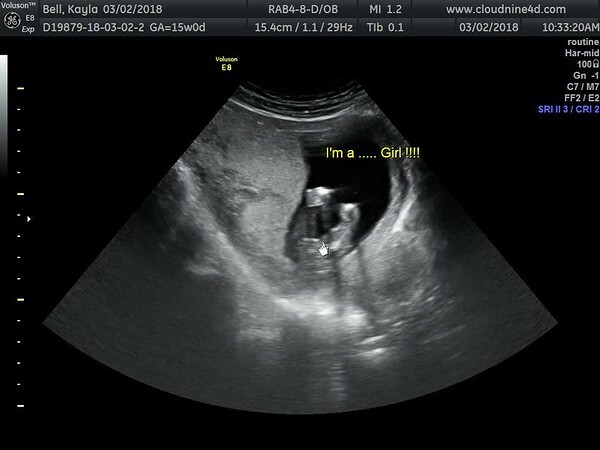 Finding out gender! 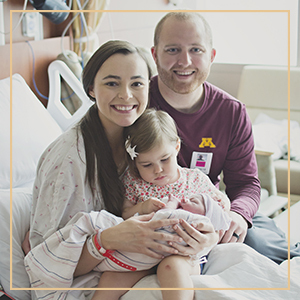 Baby #2 is another GIRLLLLLL! Miss anything? Belly button is already starting to look less innie and more outtie. I love it though. Movement? I felt the first little kicks and jabs while laying in bed one night (January 30th- 11 weeks). I didn't feel Ramsey until I was 16 weeks! Food cravings? PICKLES and juicy fruit gum. Ice cream cones the last few nights. Have you started to show yet? Definitely. You can't tell if I'm wearing loose sweatshirts, but whenever we take a bumpie I am so caught off guard by how much this belly has already grown. Happy or moody most of the time? Happy, but pregnant Kayla has no tolerance. 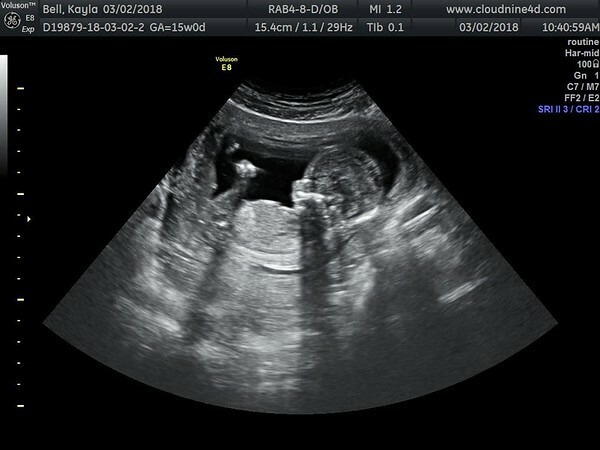 Here are a few pictures of baby girl from our gender determination ultrasound. 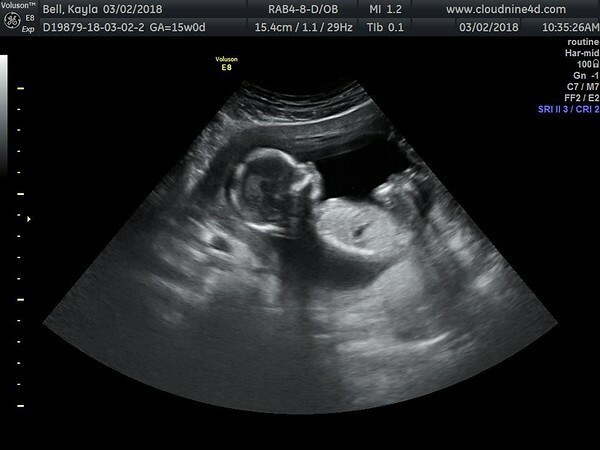 We'll see if she's still a girl at my anatomy scan- how funny would it be if baby is actually a boy!! I wondered about this while pregnant with Ramsey too.. so we'll see. 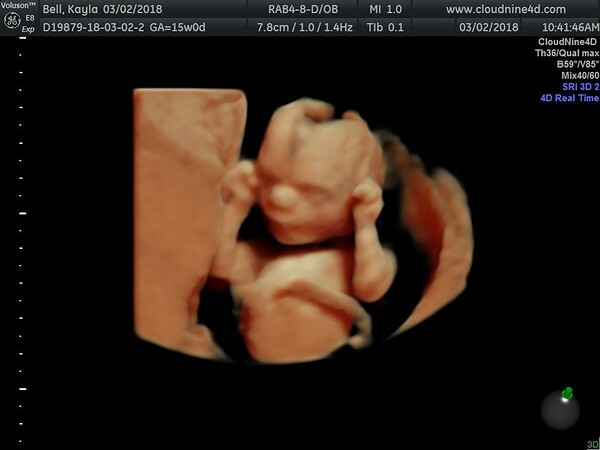 I think this baby looks so much like Ramsey in the 3d image at the bottom (compared to Ramsey's 3d scan)!